I lived at 1214 Chapel Street during my first year in New Haven as a resident at Yale New Haven Hospital, and I was so grateful to Arnie and Steve for making this transition as smooth as possible. They were both warm, welcoming, and responded quickly to any questions or concerns about the apartment, often going above and beyond what is expected. After moving to a brand new city, it was invaluable to have a friendly, knowledgeable landlord that treated me like family. The property was well maintained, quiet, and charming. 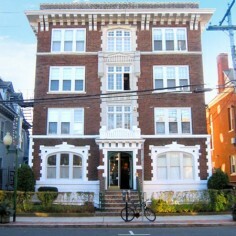 It was the perfect location with convenient access to work and downtown New Haven. 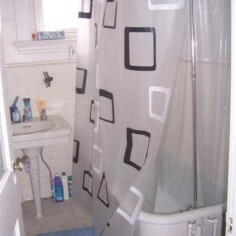 I would not hesitate to recommend this property to anyone looking for graduate housing in New Haven. My wife and I lived in 1214 Chapel Street during my time as a graduate student at Yale. While we initially looked at some of the bigger buildings, we were won over by Steve and Arnie’s obvious kindness and attention to detail. We weren’t disappointed: during our time in New Haven, we absolutely could not have asked for better landlords than Steve and Arnie. From keeping the building in beautiful condition, to always asking how we were doing, to creating a supportive community, they truly gave us a fantastic living experience. I can’t recommend their team or 1214 Chapel strongly enough. If you are looking for a great place to hang your hat for the next few years in New Haven, I've got a recommendation for you. Arnie Lehrer has two fantastic buildings (one of which I live in) that are just a few blocks away from Old Campus. It's a family run business that feels like home from day one. Arnie, Elana and Steve are amazing landlords. You will not ever go without. If something breaks, a repair will be promptly made. If you go on vacation, Steve will graciously take care of your beloved cat. You will always be greeted with a smile and sometimes even fed, as they host a great family dinner for all new tenants to get to know your neighbors. I honestly can't say enough good things about my experience. I know you will feel the same. Congrats and enjoy New Haven. My wife and I rented 1214 Chapel Street, Apt #30, for 2016-2017. Arnie and Steve do an amazing job taking care of the building - if there is ever any issue, they will take care of it immediately - even minor problems like a loose handle. They even watered our plants for us while we were on our honeymoon. The building is very safe and the community is nice: all Yale-affiliated people, and Steve and Arnie know everyone by name. And, it's a 5-minute (safe) walk to main campus, which was really convenient for us. The space is enormous and very well lit - we had a room we could use if friends were ever staying over (it was also an office, but we ended up working in the massive living room). If you are bothered by light coming in and waking you up in the morning, it is easy to put up a curtain. Before choosing this place, we explored about a dozen different options. Let me just say that If I were to rent anywhere in New Haven, it would 100% no reservations be on 1214 Chapel! "Long before you ever see the beautiful well-kept apartments of Haddon Hall, you will have heard the rumor. Whispered among the initiated, passed along as precious lore for a very few lucky students each year, one name stands out -- 'Arnie!' they cry 'Arnie Lehrer -- simply the best landlord in all New Haven"
I've really enjoyed my three years living at 1214 Chapel St. while in New Haven. Arnie and Steve have been friendly and prompt to respond to any issues. They have both gone out of their way to make me feel welcomed. I am especially reminded of this past winter when I was recovering from foot surgery - they not only made sure I was getting around okay, but they would even help me do small tasks around the apartment, such as carry my laundry basket to the basement, to keep pressure off my feet. I am very grateful to have found them and this apartment and recommend them for others considering a home in New Haven! The building has great charm, offers a quiet study environment, safe and secure , and is perfectly located to both the campus and nearby retail. New Haven is fortunate to have Arnie as a landlord and so are we! As Thanksgiving was last week, I wanted to take an opportunity to say thank you to you all. You have been so kind and helpful to me and my family as I made my way to New Haven in July. It was stressful to find an apartment in CT while I was still in IN. You guys made the search so easy. I am so grateful to you all. You made the move feel less stressful and made me feel comfortable in my new home and surroundings. Not to mention, you care for my beloved cats when I am away. Thank you so much!! "I've lived in 6 Lynwood for three years, all my three years of law school. I've never had a better living situation, or a better landlord. The apartments are quiet, beautiful inside, and conveniently close to campus. 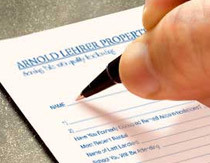 Arnie responds immediately to any tenant concerns, and goes out of his way to make his tenants comfortable. Last year during the hurricane or block lost power; Arnie was personally contacting the city and the power companies to lobby for our power to be restored as soon as possible. It was incredible, but not out of character. 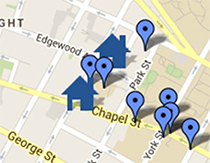 I cannot recommend these apartments highly enough." I'm a current resident at 1214 Chapel Street, and I've had an absolutely wonderful time here! The landlords, Arnie, Steve and Elana, are all wonderful and super helpful. I signed my rental apartment while I was overseas -- Elana kindly took the time to Skype with me and to show me around the apartment. We settled everything while I was overseas, and everything was great when I arrived in New Haven. I'd definitely recommend staying here and would reassure anyone who is also overseas that Skype is a very good way to view the apartment. I lived in a studio apartment at 1214 Chapel for three years and absolutely loved it! I've had a fair share landlords in the past and was blown away by the kindness, availability and generosity of Steve and Arnie. They go out of their way to do anything they can to help their tenants. 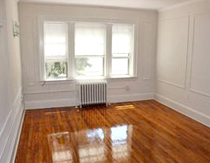 It is a prime location, I always felt safe walking home and the property is very well maintained. It was the perfect place to call home and I would highly recommend it to anyone moving to New Haven! Everyone told me that Arnie is the best landlord in New Haven, but I'm convinced Arnie must be one of the best landlords in the country. His apartments are beautiful, perfectly maintained, and Arnie and Steve go beyond expectations to offer truly excellent service to tenants. Over the course of the year, Arnie and Steve became two treasured friends who I enjoyed chatting with daily and knew I could count on always and without hesitation. Arnie also knows a tremendous amount about New Haven and the local community, which he made me feel a part of. I admire Arnie greatly and strongly recommend living in Arnie's building to anyone lucky enough to have the opportunity. Having moved to Yale from abroad it was so refreshing to have such a dedicated, caring and welcoming team running the apartment building. Steve was always there for anything, he went above and beyond to make my time at 1214 comfortable, safe and enjoyable. He fixed furniture for me, watered my plants, helped me move my belongings, all of the things I my parents (on the other side of the world) were unable to help me with. I've had so many landlords over the years and by far these guys are the best. Thanks for everything! !